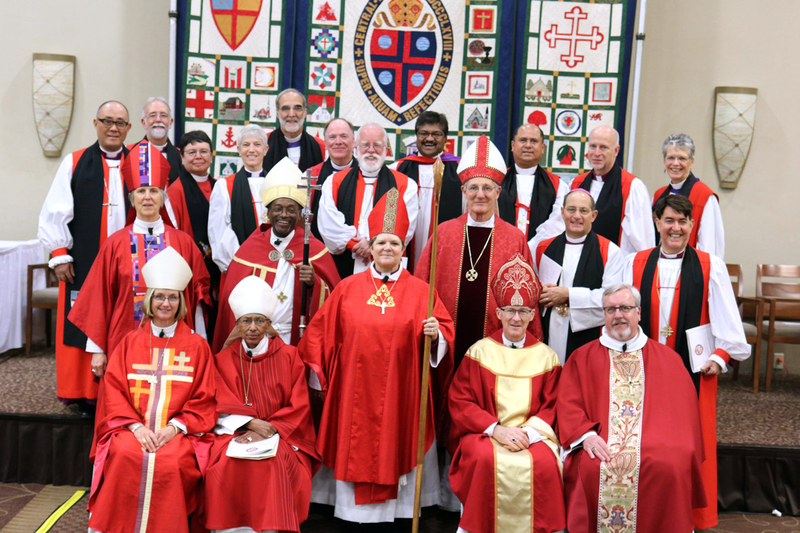 [Episcopal Diocese of Central New York] Hundreds of Central New Yorkers and bishops and dignitaries from across the United States participated in the ordination and consecration of DeDe Duncan-Probe as 11th bishop of Central New York. The service took place on Saturday, Dec. 3 at the Holiday Inn Convention Center in Liverpool, New York. Duncan-Probe will lead the 13,000-member Episcopal Diocese of Central New York, which includes 86 local churches and chapels in a region stretching from the Canadian to the Pennsylvanian borders and from Utica to Waterloo, including Syracuse, Watertown, Ithaca, Binghamton, Elmira and the greater Finger Lakes area. Reflecting the new bishop’s commitment to diversity and dialogue, notable leaders from the Episcopal Church and local faith and civic organizations participated in the historic celebration. Presiding Bishop Michael Curry led the ceremony as chief consecrator, and the Rt. Rev. Barbara C. Harris, the first woman to serve as a bishop in the Episcopal Church and the worldwide Anglican Communion, preached in the consecration ceremony. Also participating were leaders from the Islamic Society of Central New York, the Upstate Lutheran Synod, Thekhen Choling USA (Buddhist) Bahai’is of Syracuse, the National Council of Churches, Upstate University Hospital Spiritual Care, and InterFaith Works of CNY. Duncan-Probe was elected at a special convention of the diocese on Aug. 6, 2016 following a year-long search process. She succeeds the Rt. Rev. Gladstone B. “Skip” Adams, III, who retired after 15 years as 10th bishop of the diocese on Oct. 31. 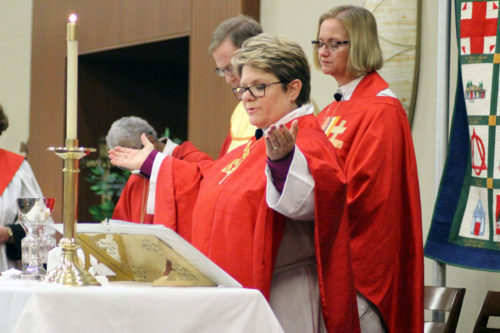 Prior to her call to serve as bishop of Central New York, Duncan-Probe was rector of St. Peter’s in the Woods Episcopal Church in Fairfax Station, Virginia, and held a number of leadership positions in the Episcopal Diocese of Virginia. She has served as a youth director, an educator, and co-founded an engineering consulting firm with her husband which continues to thrive. She holds a doctorate from the Graduate Theological Foundation, completed at Oxford University, and two master’s degrees from Pepperdine University and from The General Theological Seminary. She and her husband, Chris Probe, have three children. Speaking as a clergy person of the Diocese of Central New York, I can say that we are thrilled and delighted to have Bishop Dede serving among us. I want to note that her doctorate is not from Oxford University, but from the Graduate Theological Union in Mishawaka, Indiana, which holds a summer session at Oxford in theology. As a member of the Diocese of Virginia I am thrilled and overjoyed for Bishop Dede as your new bishop. We will miss her dearly. She brings many gifts of ministry.